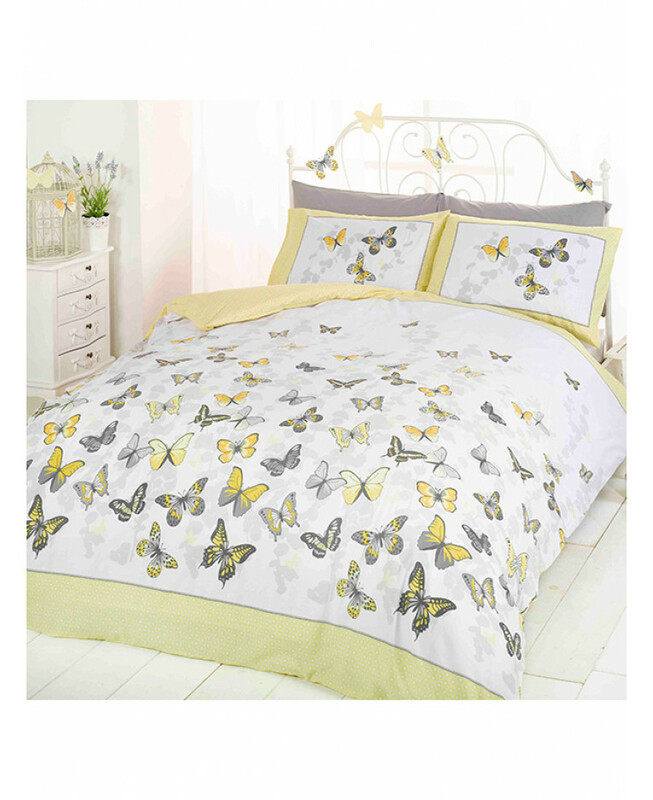 This pretty Butterfly Flutter single duvet cover set features a collection of colourful butterflies in different tones of yellow and grey on a white and grey background. 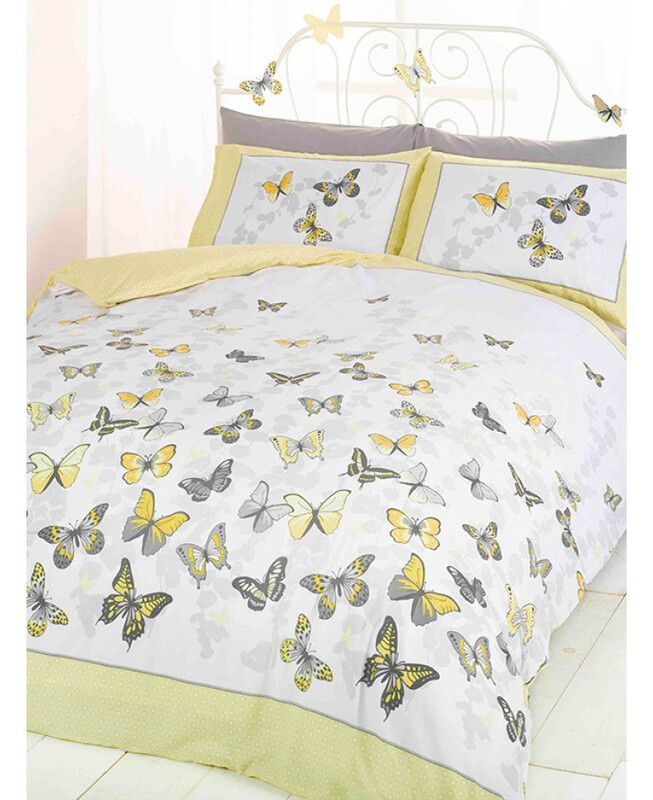 The duvet cover and pillowcase also have a yellow and white spotty border which is carried through on to the reverse of the bedding set. 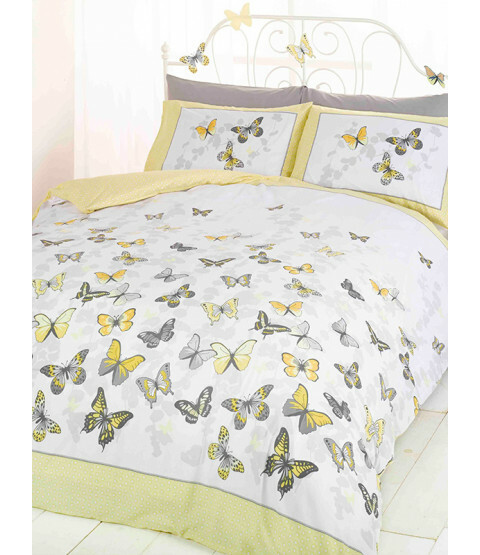 This item is made from a polycotton blend and is suitable for machine washing and tumble drying.